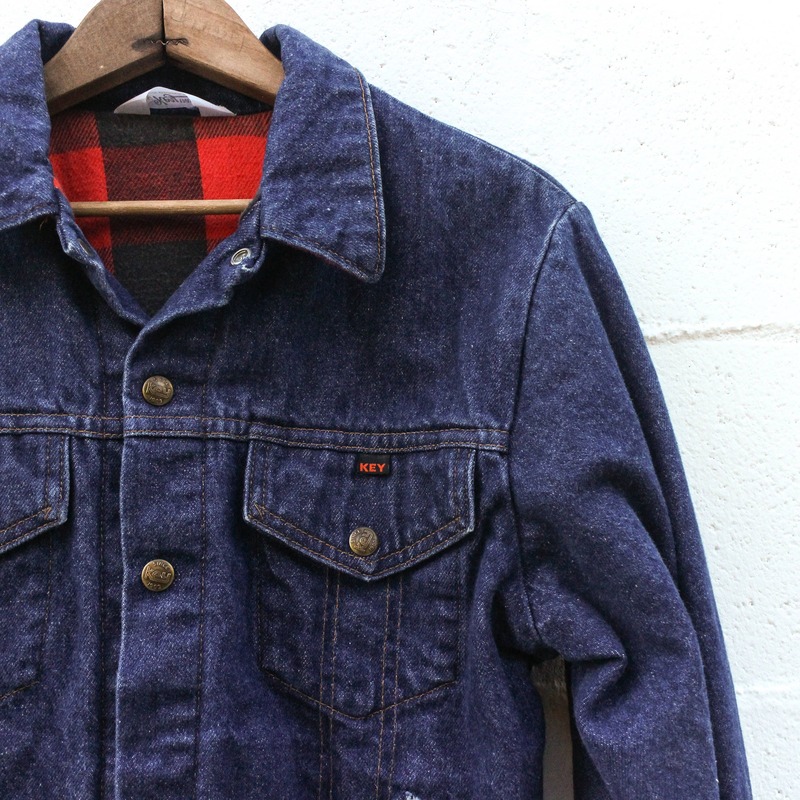 The Key Imperial denim jacket comes in a dark denim, snap front, and red & black flannel lining. 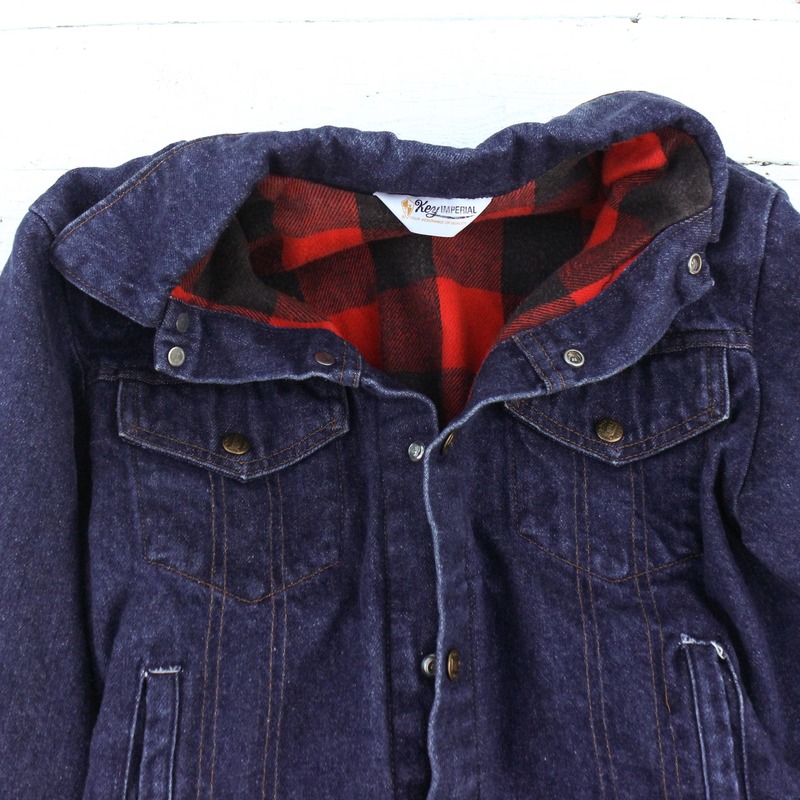 The flanne lined denim jackets are super cozy in the Fall/Winter and are great for layering underneath, as they are not to bulky. 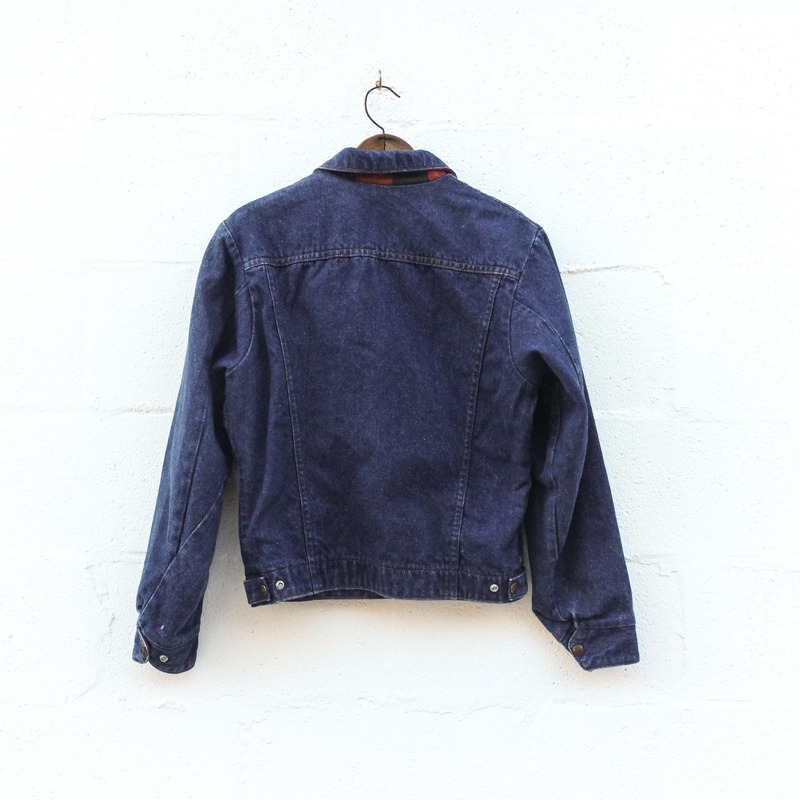 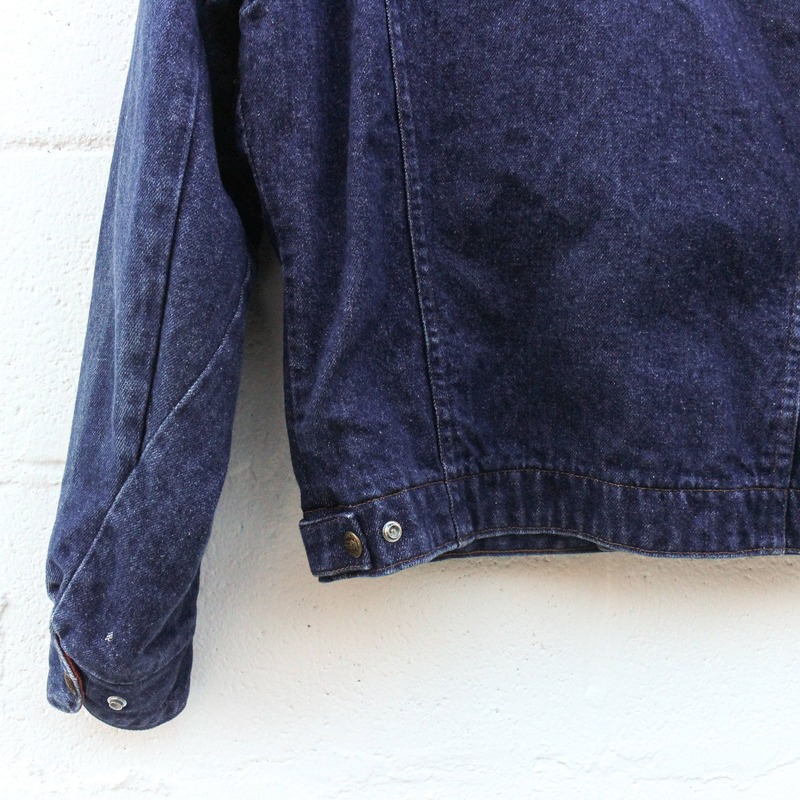 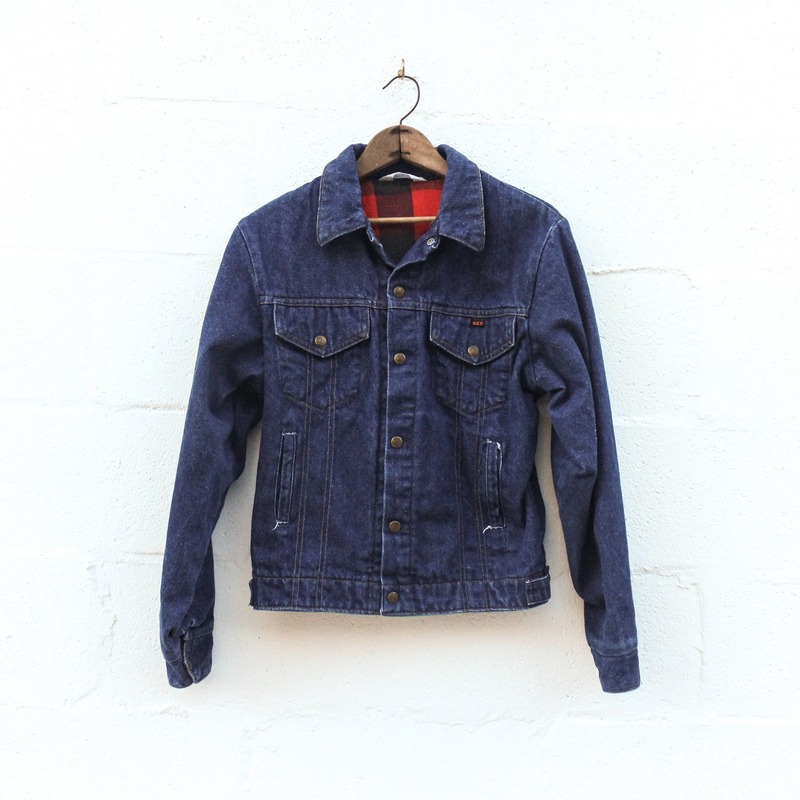 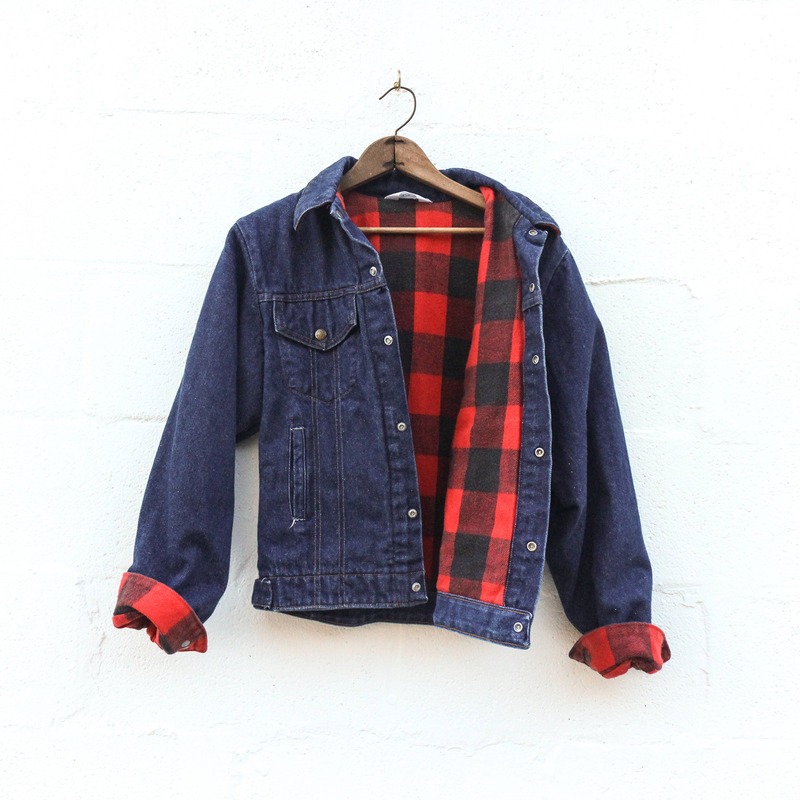 The denim jacket has light wear, character from previous use.